Любитель музыкального коктейля - HOUSE & TECHNO, резидент программы GARAGE на радио "Европа Плюс" вместе с мудрым Суховым и очаровательной Полиной, DJ-трудоголик, способный за один уик-энд побывать в десяти клубах России. Хотите знать о нем больше - букируйте, или учите английский язык! DJ Viper giggs in night clubs since the middle of 90’s. He supposes electronic music can help to express and deliver all types of emotions practically, so he connected his life with music. He plays house mainly (from deep house to progressive), electro and techno. He can experiment upon mix by playing music contiguous to house. He consider the main purpose of set is to make crowd happy, to make them feel warm and kind emotions by attaching sound of various tracks general mood. During last 10 years he was a resident in more than 20 fashionable Moscow and St.Petersburg clubs. It were Garage, Propaganda, The Gallery, Zeppelin, Мaster, Buddha Bar, ХIII in Moscow and Jet Set, Opium, Onegin, Jakata, USSR, Absent, Mama, Tunnel in St.Petersburg. He have played with many world-famous dj and musicians as Sonique, Marshall Jefferson, Felix Da Housecat, Pascal F.E.O.S, Dave Seaman, Future Shock, James Holden, Boy George. He’s the one of the participants who found on label “Garage Sound System” (GSS) and creative agency “Garage Music Management” (GMM). Every year from 1996 GSS makes original event at the Kazantip festival. During 9 years GSS and GMM organized a big number of great parties and promoactions for the largest companies in former USSR territory. He’s a presenter of the radioshow “Garage” in/at the largest national FM radiostation “Europa Plus” already 9 years. This program broadcasts to over 800 cities from Poland to Japan. Weekly in this radioshow he present his mixes to people of many million. In autumn-winter 2004-2005 Garage Sound System and Djs Suhov, Viper and Polina organized a grand “Fall-Winter Tour” (75 actions in 25 cities) which greatly succeeded in best house-clubs of Russia,Ukraine and Byelorussia. Also he performs own sets in Moscow clubs. 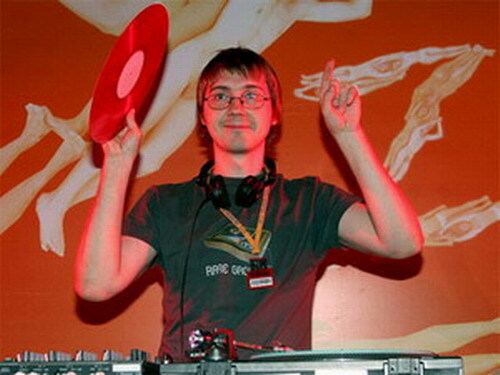 He actively playing on tour in various Russian cities and abroad on weekly basic. МУЗЫКАЛЬНЫЕ СТИЛИ: House, Techno, Breaks, Electro.